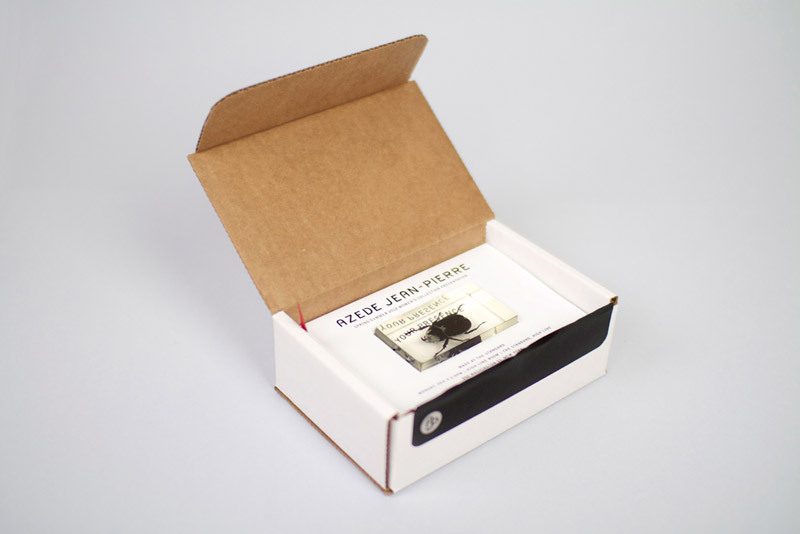 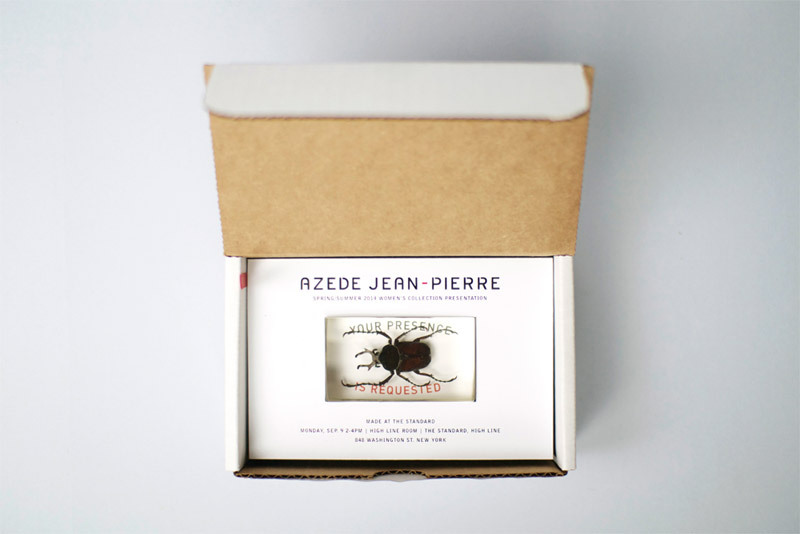 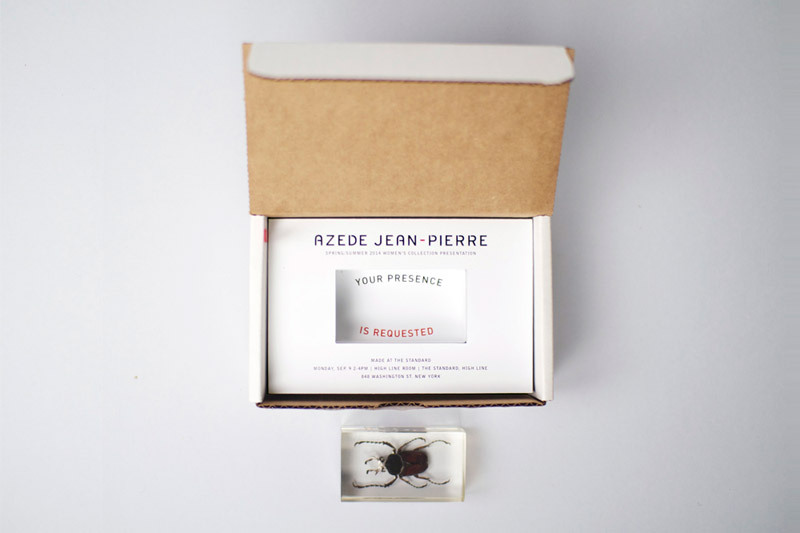 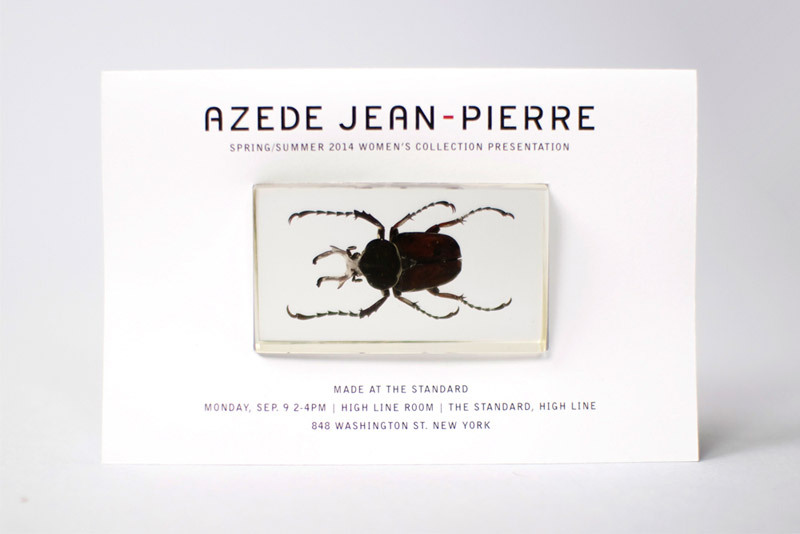 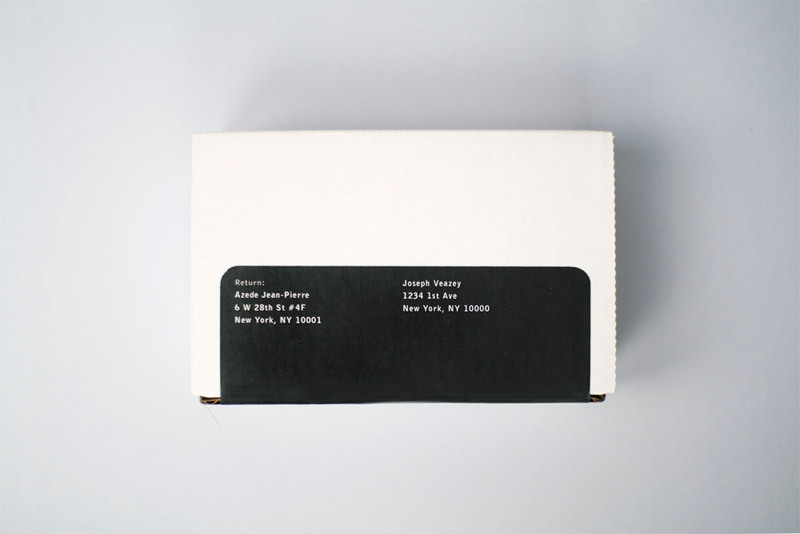 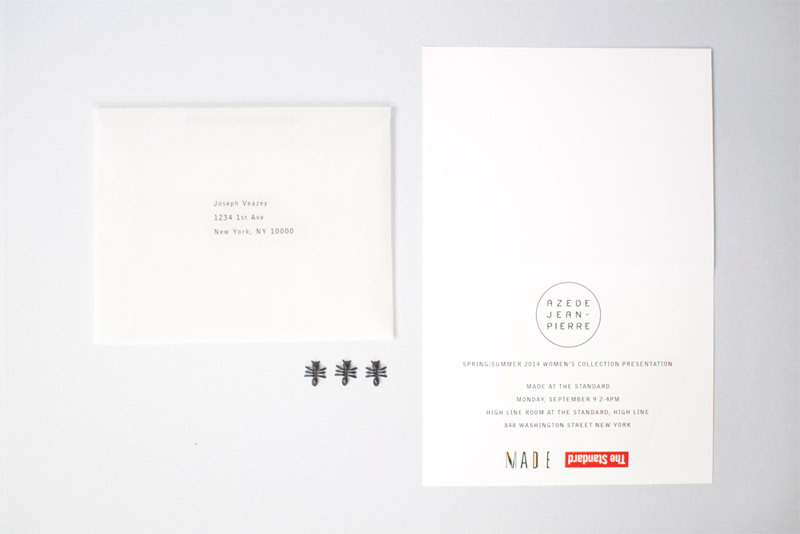 Invitation created for the Azede Jean-Pierre Spring/Summer 2014 Presentation. 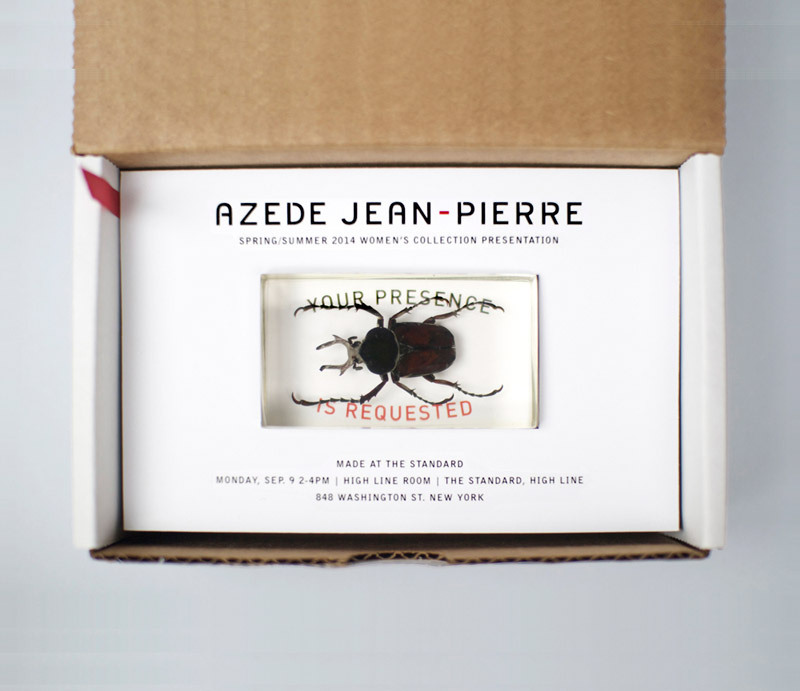 The collection consisted of prints and forms that were inspired by beetles, insects, sea slugs, and other members of the "smaller majority." 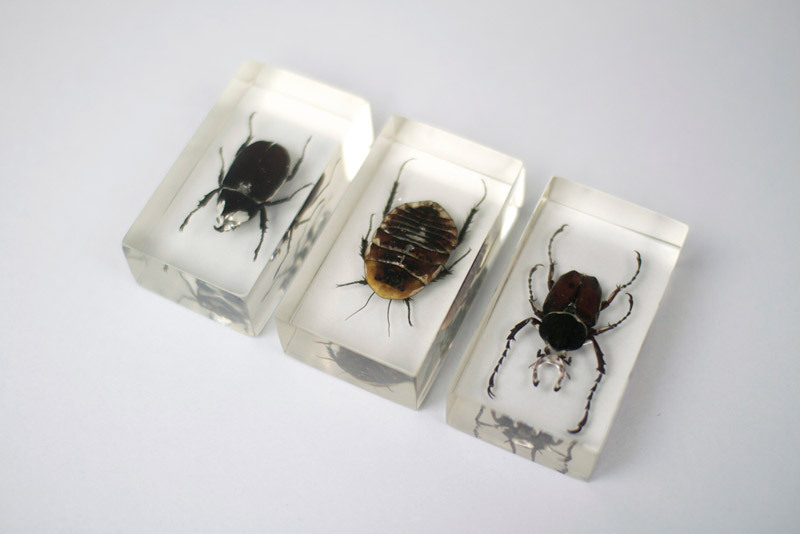 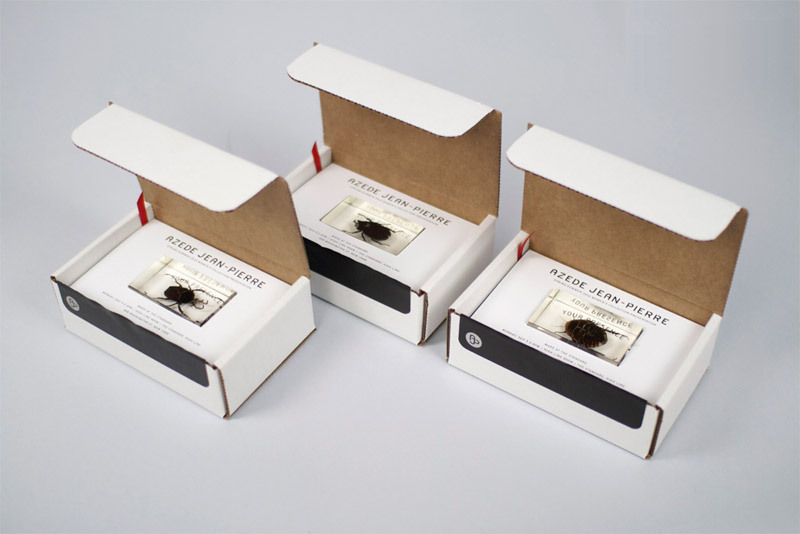 Various species of insects suspended in clear plastic resin blocks were used as a small gift and reminder of the show. 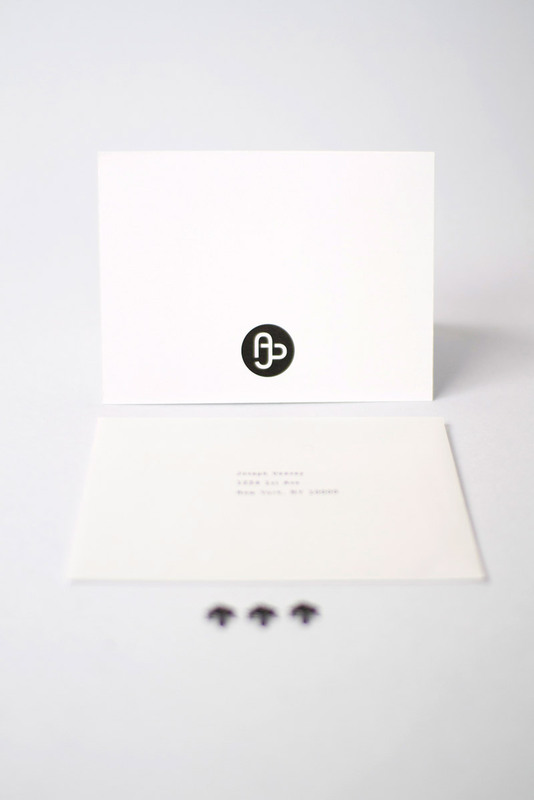 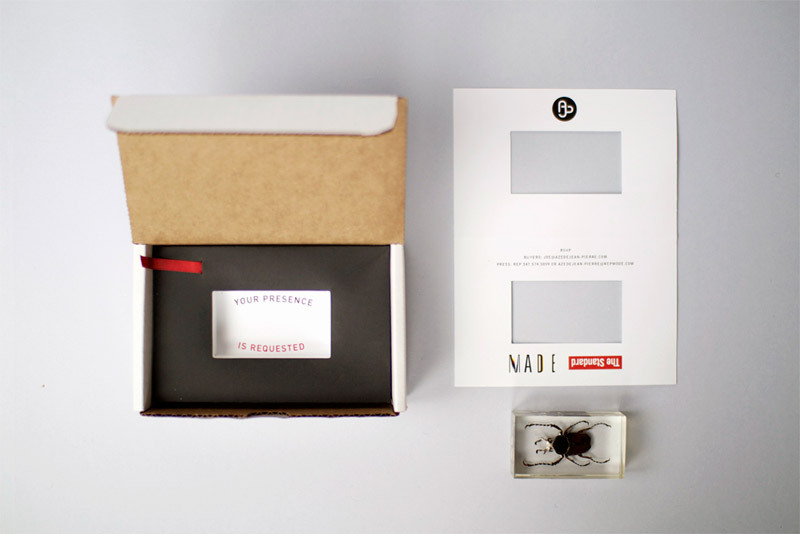 A secondary and less expensive option was also made, which consisted of a minimal folded card in a clear envelope, along with three small plastic ants. 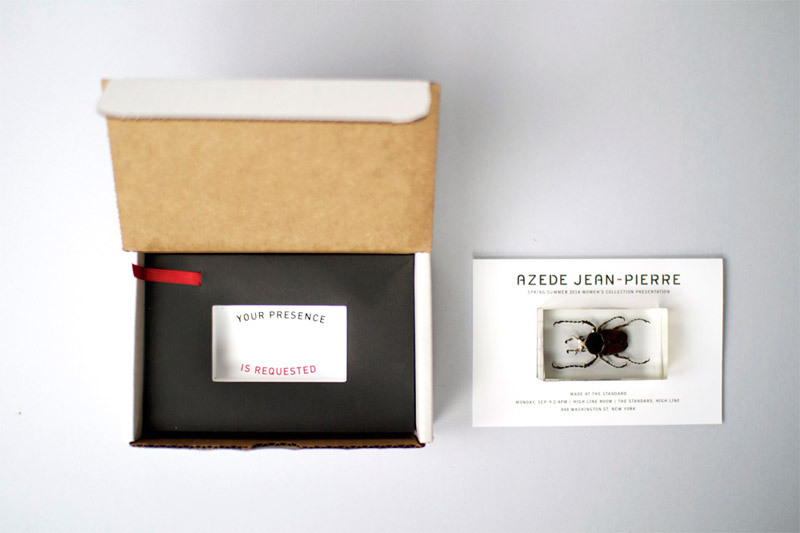 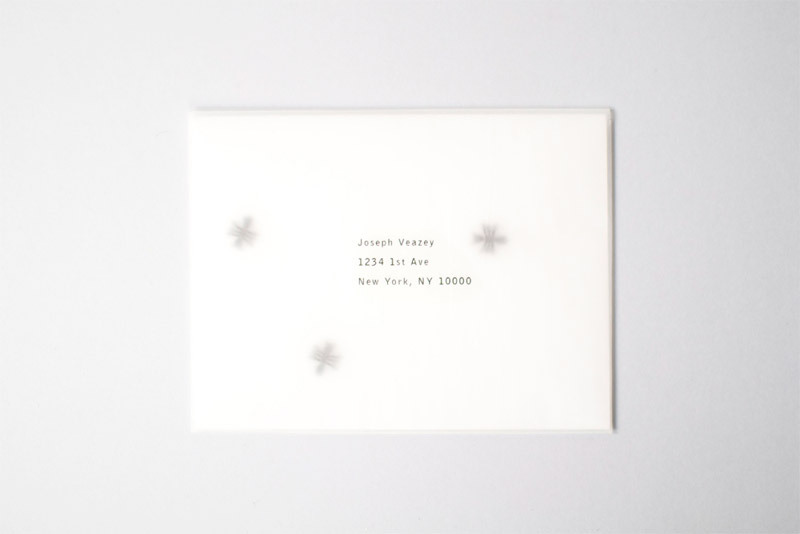 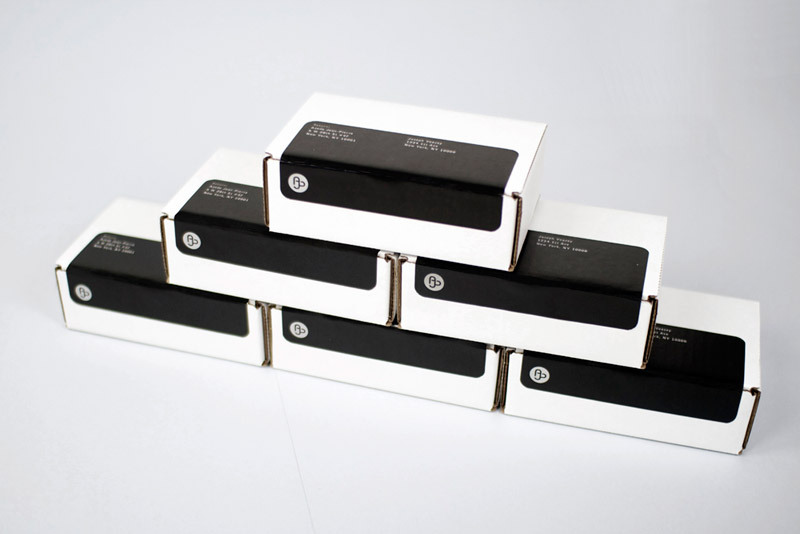 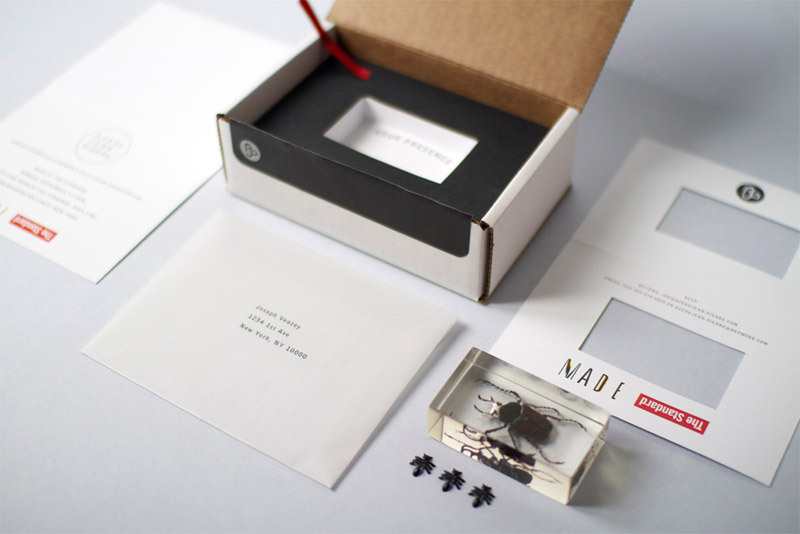 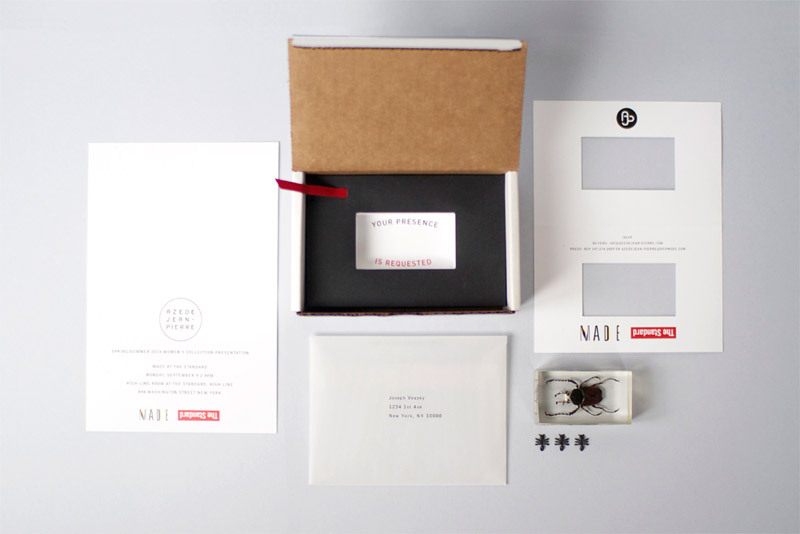 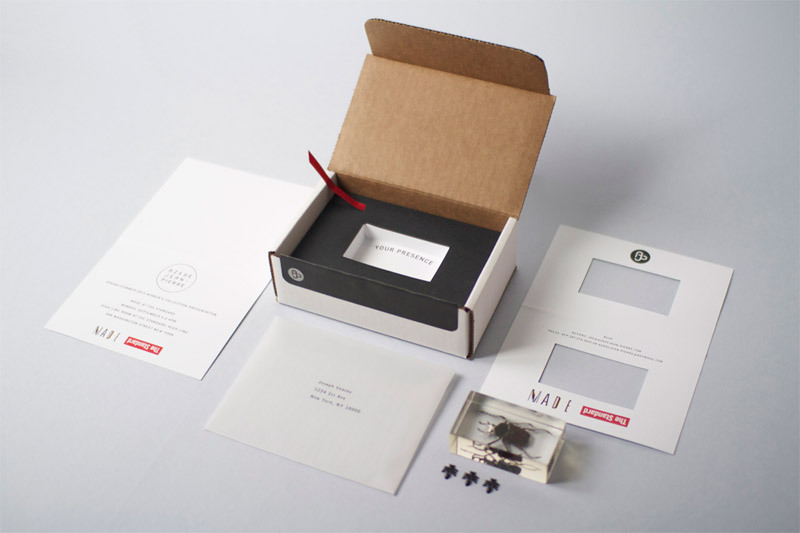 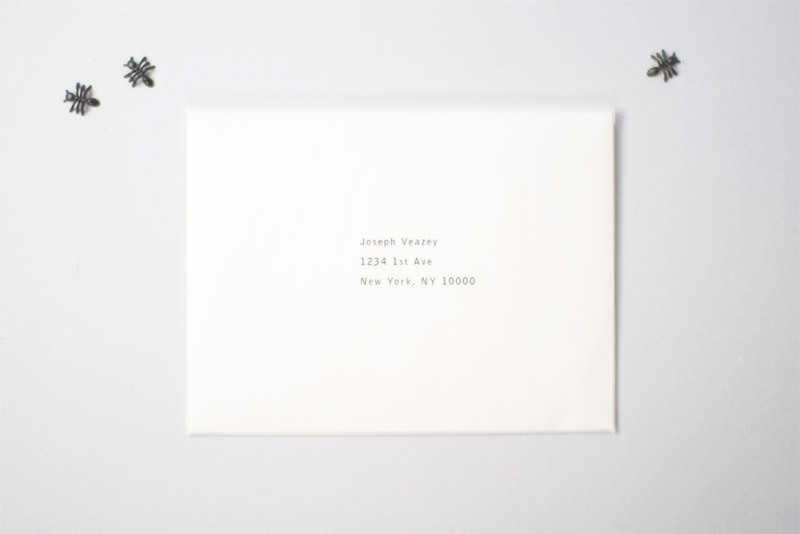 As the card was pulled out of the envelope, the ants slide out with it, falling onto the desk or lap of the recipient.